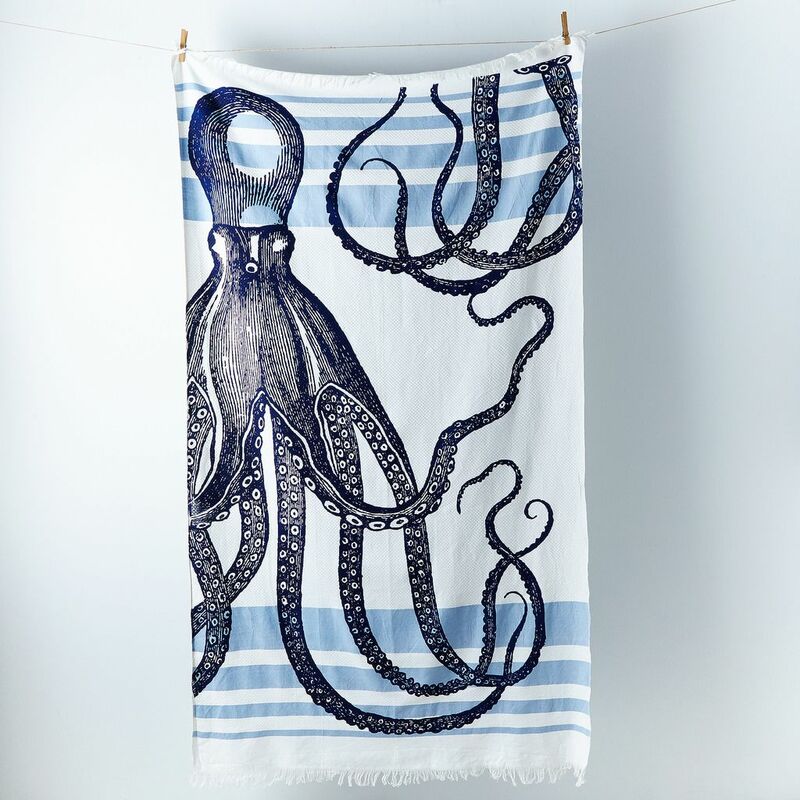 Our exclusive, limited edition thomaspaul Octopus Banya Towel (left), modeled by Kenzi (right). 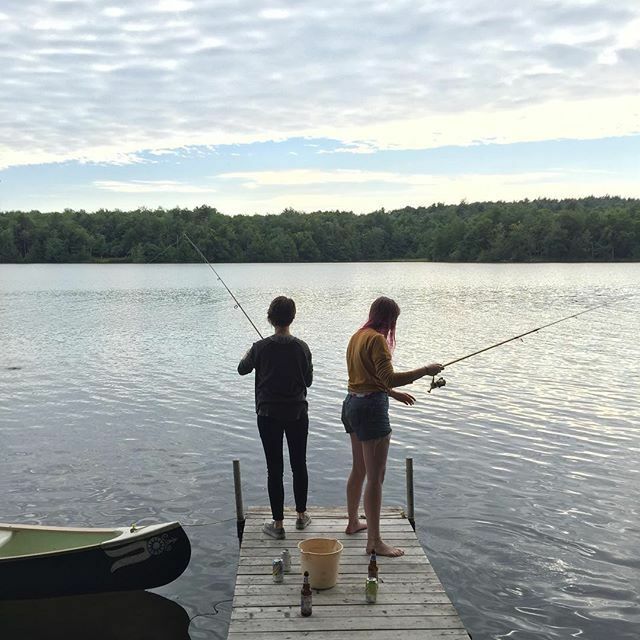 When Managing Editor Kenzi Wilbur and Executive Editor Kristen Miglore headed to idyllic Goshen, Masschussetts, for the long weekend, they may have taken (borrowed!) our new octopus towel for the trip. 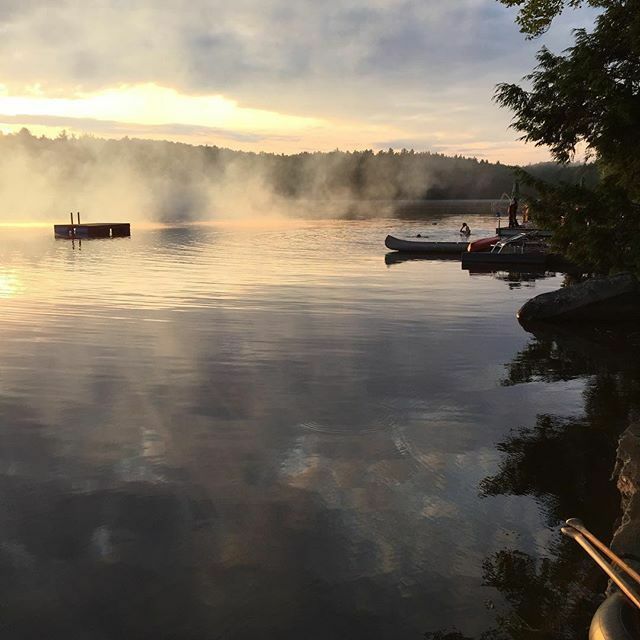 Their weekend included canoe rides and fishing for fishes. 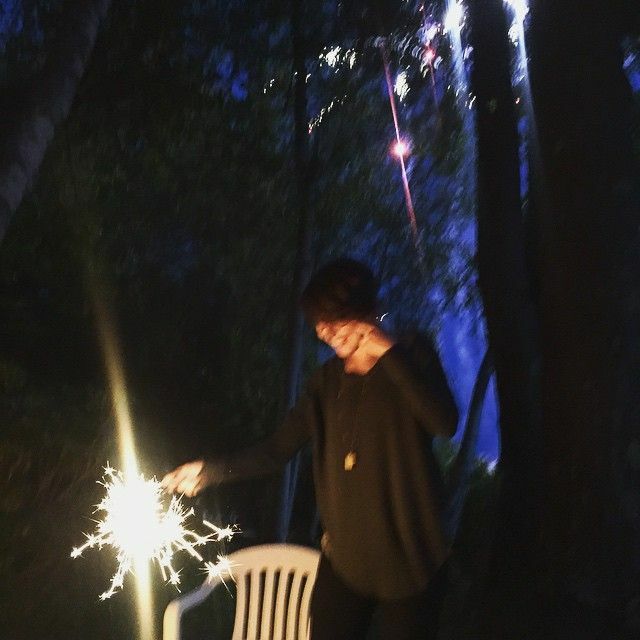 As well as admiring the architecture of their woodsy cabin and playing with DIY sparklers. 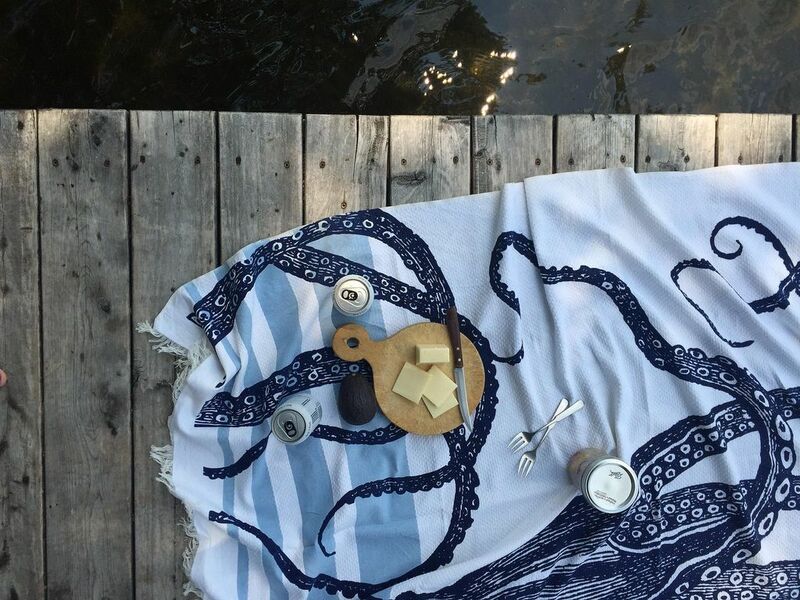 Before using the towel to dry off from a dip in the lake, it can be a picnic blanket on the dock. 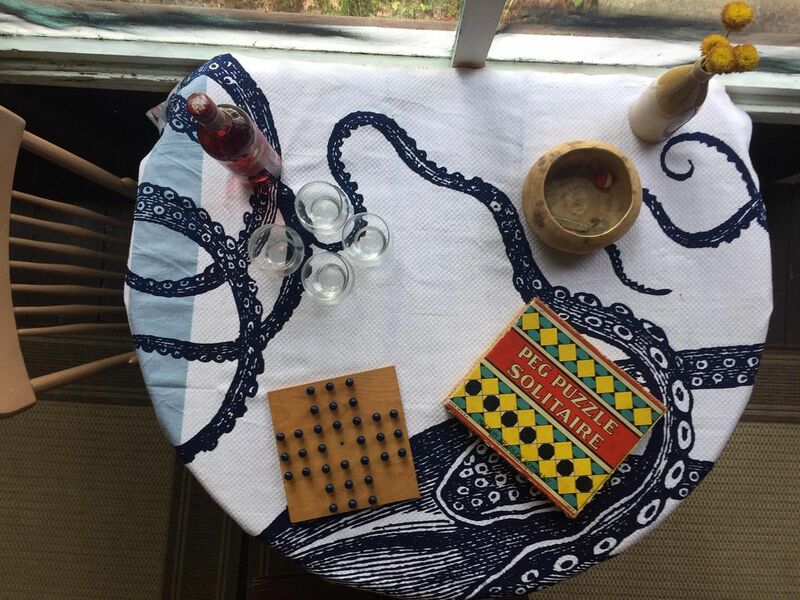 The towel also fits in inside, as a tablecloth—Chinese checkers sort of mandatory. 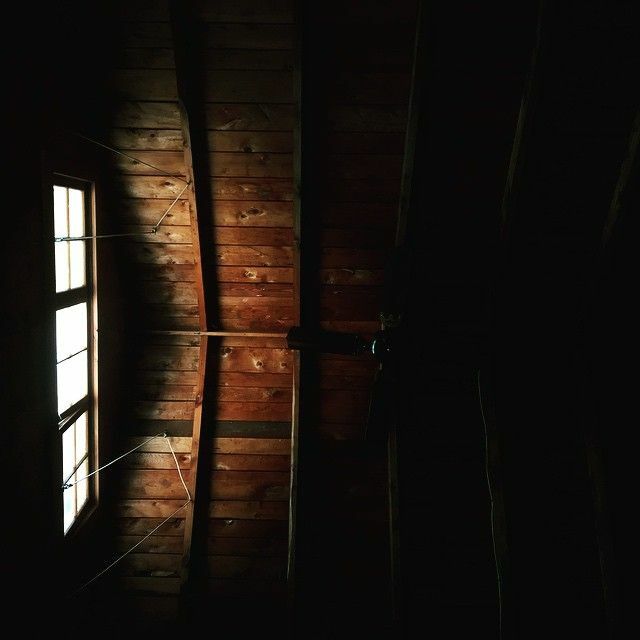 First image by Rocky Luten. All others by Kristen Miglore, Marian Bull, and Kenzi Wilbur. What destinations are on your summer bucket list? I was a camp counselor in Goshen many moons ago. How fun and nice to see it written about. And yes I am buying that towel. I've never seen a better towel model in my life! Want.